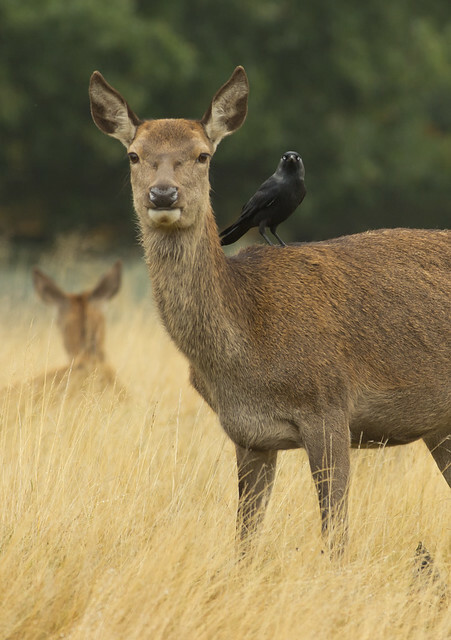 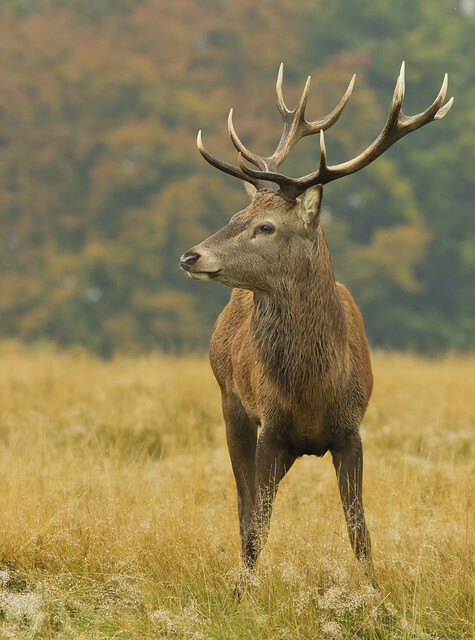 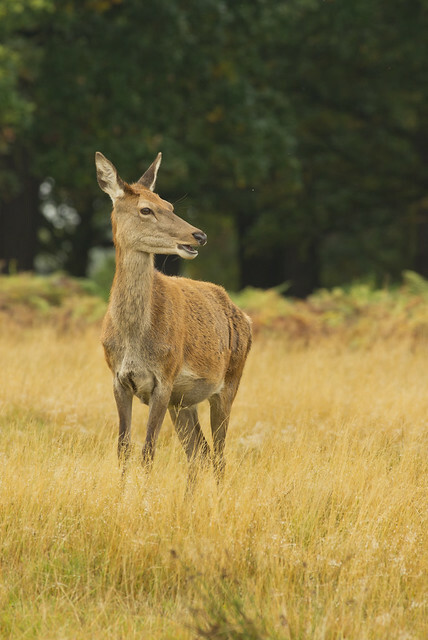 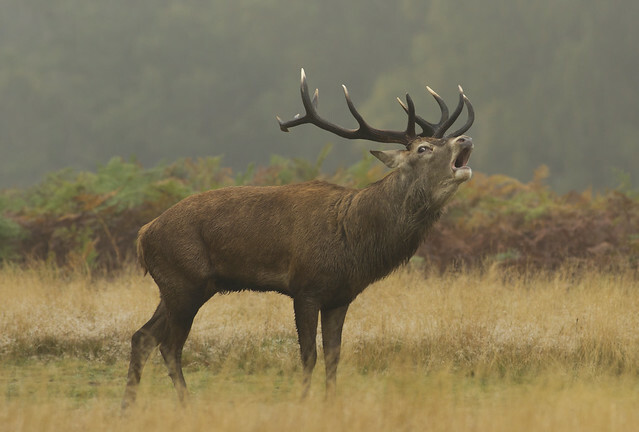 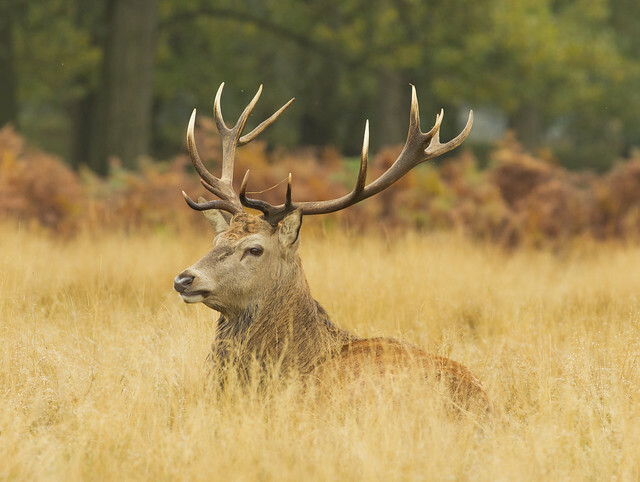 Back in October I headed to Richmond Park. 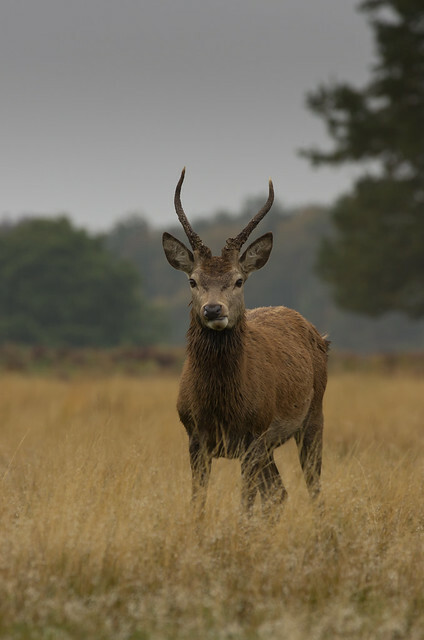 There I took some photos of the Red deer stags. 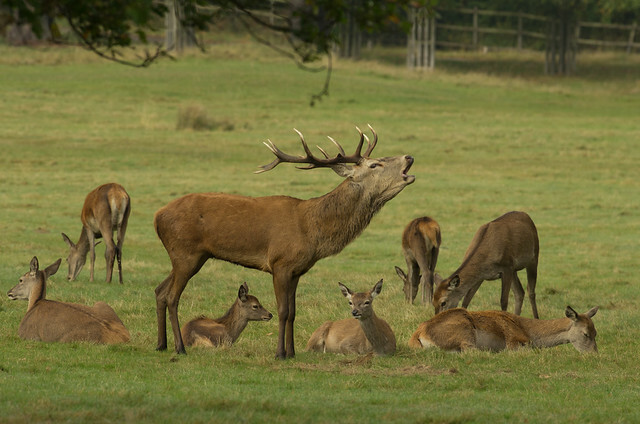 The calves in this one seem unimpressed by the stags bellowing. 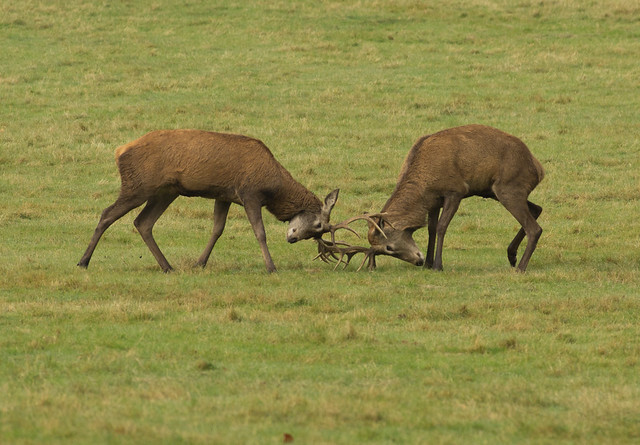 A couple of youngsters were practising rutting. 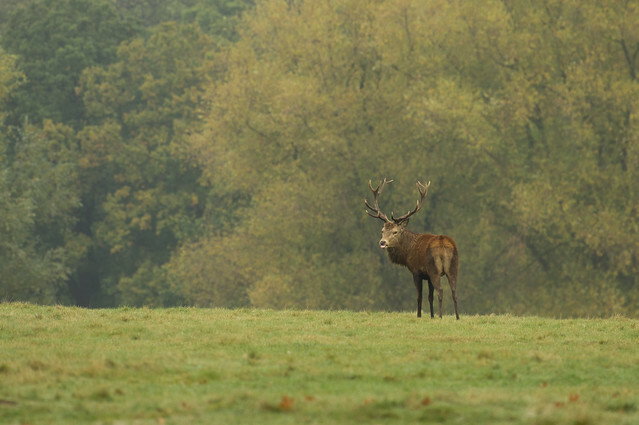 I also photographed the hinds. 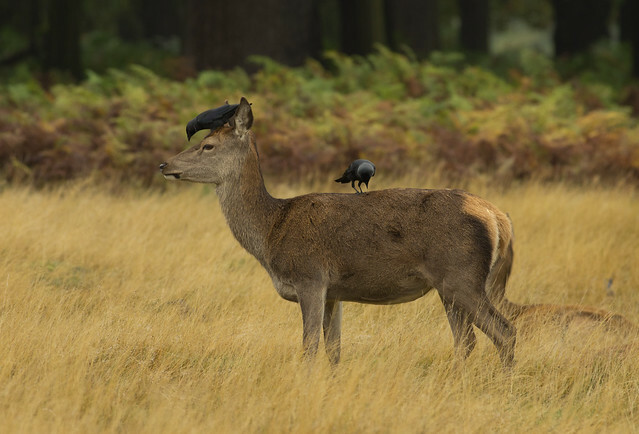 This one had some jackdaws feeding on it!